You can see list of our Philips 1.7L HD4649 vs Wonderchef 1.7L Monochrome	below, perform Side-by-Side comparison. If you need further help, do have a look at Conzumr Guides and Tips. Alternatively you can view all Electric Kettle to choose your own favourites. 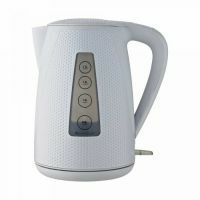 To Recieve updates and possible rewards for Wonderchef Regalia Kettle Monochrome White 1.7L please sign in. To Recieve updates and possible rewards for Electric Kettle please sign in.